If you are a follower of the Kigo blog, you would have heard us use the term channel management. And if you're not familiar with the term, we are about to shed some light on the benefits it will have on a vacation rental business. To begin with, a channel is a place for vacation rental managers to list a property on, and as you've probably guessed channel management is the process of managing multiple listings on multiple channels or websites. 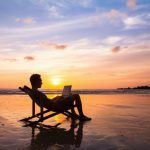 In a time where vacation rental managers relied solely on offline marketing to promote a property, a channel manager wouldn't have been quite so beneficial. 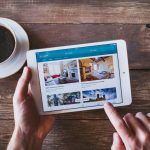 Yet as the vacation rental industry has shifted towards online marketing, over the past decade there has been an emergence of a variety portal listing websites that work hand in hand with a channel manager. Listing on large portal websites like Airbnb, Booking.com or Flipkey will allow a vacation rental manager to receive a chunk of their huge website traffic. However it is also important to share the property on mid-size portals too that are more specific to the rental. Say for instance you rent a short term rental in Spain, Get Me an Apartment would be great to list on for SEO reasons as they promote listings predominantly in Spain. 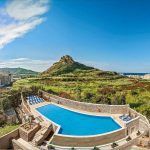 Now the benefit of the channel manager in these circumstances, is that the vacation rental manager can promote the property across a variety of portals yet manage everything from one place. This means you can get maximum property exposure without the stress of updating multiple advertising platforms. 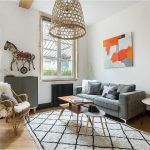 So you're advertising your property across many portals but you need to update the listings with new images of the rental. Going into each individual listing is not only time consuming but could damage credibility if a mistake is made. This is where the channel manager will simplify any content updating tasks. From the backend, it syncs together all of the connected listings and allows the property manager to upload images, descriptions etc. which are then automatically distributed across all of the channels. 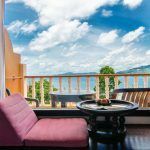 Credibility is so important to a vacation rental business brand as it can really determine whether a booking is made or not. One way a property manager can take bookings professionally is by constantly updating availability calendars. 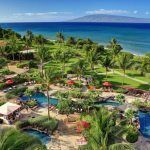 An outdated calendar on a vacation rental website and listing channels could potentially lead to nasty double bookings, which I think we can agree neither a guest or a property manager benefit from. The channel manager syncs together booking calendars and ensures that when a booking is made on one of your channels, this is reflected across all of them. That way, you and the guest know exactly where you stand and bookings can be made instantly. There we have it, 3 of the main benefits of a vacation rental channel manager! Do share this post with vacation rental managers alike or any comments in the box below.